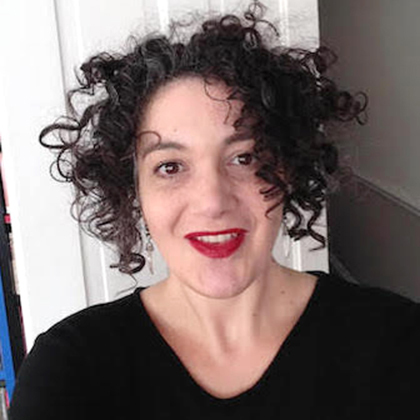 Daniela Cascella is a London-based Italian writer and researcher, and is an Associate Lecturer on the MA Sound Arts course at London College of Communication. Daniela’s research is focused on sound and literature across a range of publications and projects, driven by a longstanding interest in the relationship between listening, reading, writing, translating, recording and in the contingent conversations, questions, frictions, kinships that these fields generate, host or complicate. Daniela is the author of F.M.R.L. Footnotes, Mirages, Refrains and Leftovers of Writing Sound (Zer0 Books 2015) and En Abîme: Listening, Reading, Writing. An Archival Fiction (Zer0 Books, 2012), with her writing also being published in books and and exhibition catalogues internationally, including on Koenig Books, Errant Bodies Press, Cura Books, raster-noton among others. Daniela has also been published in art, music and literary journals such as Gorse, 3:AM Magazine, Music & Literature, The Los Angeles Review of Books, The Wire, frieze.com, Organised Sound, MusicWorks, The Journal of Sonic Studies, Wolf Notes. She previously worked as contributing editor of Blow Up music magazine, for which she wrote a monthly column on sound and the arts as well as articles and reviews on experimental music. Prior to her move to London in 2009, Daniela worked in Rome as a journalist and curator specialising in sound art – producing and curating projects for museums and public institutions such as the National Gallery of Modern Art, Rome and the British School at Rome. Daniela was an early career research fellow in the School of Arts at Oxford Brookes University between 2013 and 2015. She has taken part in conferences, presented readings and has taught internationally, at the School of the Art Institute of Chicago, the Piet Zwart Institute Rotterdam, Goldsmiths University of London, University of Oxford, University of Copenhagen, Tate Britain, Arnolfini among the others. Since 2015 Daniela has been a guest curator at Lydgalleriet Bergen, Norway, where she is developing the LYD Writing Research Residencies in collaboration with Dominique Hurth and Natasha Soobramanien. She was a curator, along with Rhea Dall and Martin Glaz Serup, of Where Were We. On Writing, Intimacy, Body – a five-day international festival produced by Projekt Art Writing Aarhus, Denmark in December 2015. Between 2013 and 2015 she collaborated with Salomé Voegelin on the series of broadcasts and performances Ora: Voyages into Listening and Writing. As well as working as an Associate Lecturer at LCC, Daniela is aa Assistant Professor in Writing in MA Fine Art at Bergen Academy of Art and Design in Norway. View the MA Sound Arts course page.